We hope you had a wonderful holiday season. Help us ring in the New Year with our fun activities in January. Let’s hope for snowy weather as we celebrate our daycare friends born in the month of January. Pictures will be posted on Facebook the next day. Join us for our annual football game in daycare to help celebrate the “Big Game” this weekend. Pictures and videos will be posted on Facebook the next day. Pamper your pet with a shampoo that will leave their coats shiny, soft, and healthy. Spa package includes vanilla cookie shampoo, vanilla bean spritz, and teeth brushing. Cost is $18 plus price of bath or grooming. Welcome February, the month of love. We have lots of fun things in store for our furry friends this month. Valentine’s Day Craft, Mardi Gras themed birthday parties, and strawberries and chocolate spa specials. It’s almost time for the annual Purr’n Pooch Puppy Bowl! Daycare guests are encouraged to wear football jerseys or cheer leading outfits of their favorite teams and get ready for the action. Photos will be posted on Facebook and Instagram by the following day. We will be doing Valentine’s Day crafts with our guests in daycare for Moms and Dads. Join us for games on the playground as we celebrate our daycare friends born in February with a Mardi Gras themed Birthday party. 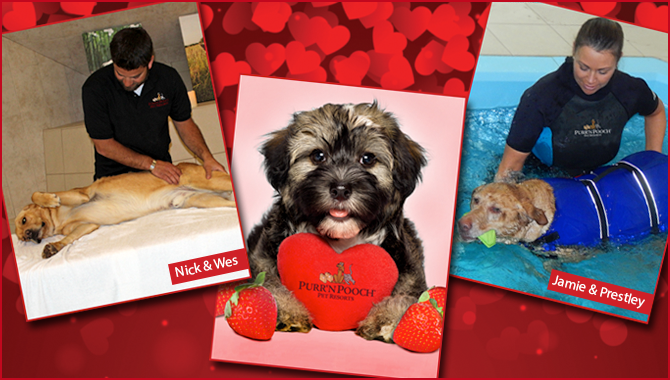 Pet parents can submit photos from February 17-19 to info@purrnpooch.com. An album of all the photos will be posted on February 20 on Facebook. Voting will end 11:59 p.m. on February 20. The pet whose picture receives the most likes will win 1 free night luxury board and playtime. Thank you for your generosity during our holiday drive. The Purr’n Pooch Foundation for Animals was proudly able to support many local organizations including To the Rescue and the Associated Humane Society, Tinton Falls. Our February spa package includes strawberry milk bath moisturizing shampoo, enriched with milk proteins for healthier skin and coats, and almond cocoa spritz and teeth brushing. Cost is $18 plus price of grooming or bath. Looking to treat your best friend to something special? Massages can decrease stress and anxiety, ease muscle tension and soreness, increase circulation, and contribute to healthy coat and skin. A massage can be added to any daycare or boarding stay for $30. Aquatic Exercise is offered year round in our Wall Township location. If you would like your pet to receive some added exercise during the winter months or learn to swim before the warmer weather check out our Aquatics program. To celebrate International Dog Biscuit Day on Friday, February 23, all cookies will be 20% off. 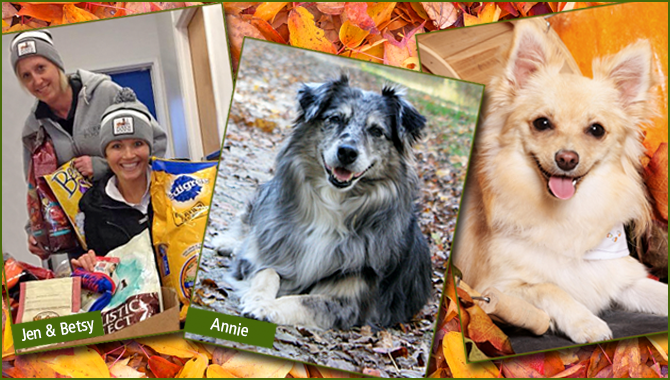 Purr’n Pooch Pet Resorts is thankful for our wonderful clients and dedicated staff. Show your pet how much you appreciate them this month with a conditioning spa treatment or a relaxing massage. 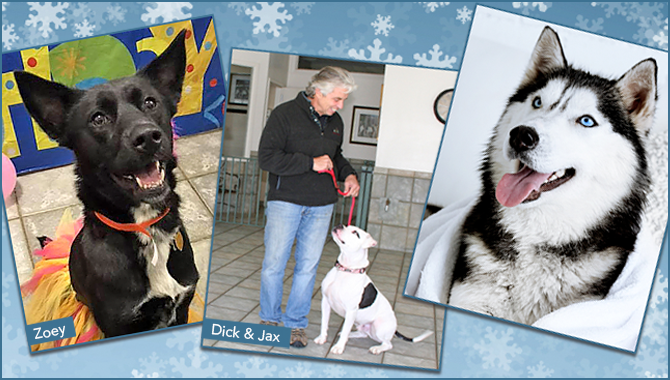 Please remember that the resort does book up for boarding and grooming reservations during the holiday season. Make your appointments as soon as possible. Join us for games on the playground as we celebrate our daycare friends born in November. Photos will be posted to Facebook the following day. Our Certified Pet and Dog Trainers (CPDT) specialize in household manners, everyday commands and prepare your dog to obey instructions at home, in public and around other dogs. Our training uses a reward-based curriculum that’s based on positive reinforcement. Classes run for six or seven weeks. Best of all, basic dog training with Purr’n Pooch is fun because we enjoy helping your pooch learn and grow! Enter our Annual Holiday Photo contest by submitting a holiday picture of your pet to info@purrnpooch.com by November 30. The winning pet will receive one night stay with play in our luxury lodging. The photo will also be the cover image for our holiday card this year. We will be collecting pet supplies and food to be distributed to local rescue groups and charities this holiday season. We thank our generous clients for their contributions during the drive for the hurricane victims and hope we now can help some of our local families and groups in need. Please remember all grant applications must be post marked before December 31. Apply now. Our gentle, conditioning Pumpkin Spice Shampoo gently cuts through dirt without stripping natural oils and infusing your pet’s coat with aloe and sunflower oil. Spa Special includes shampoo, Pumpkin Spice spray and teeth brushing. Cost is $18 plus price of bath or grooming. Holiday shopping season has begun. Visit us for our Thanksgiving sales weekend. Remember to like us on Facebook and follow us on Instagram for flash sales throughout November and December. September is the month for learning. Children are going back to school and dogs are coming back to Purr ‘n Pooch for socialization and training. We have new training classes starting this month and we always welcome new pups to our daycare program. 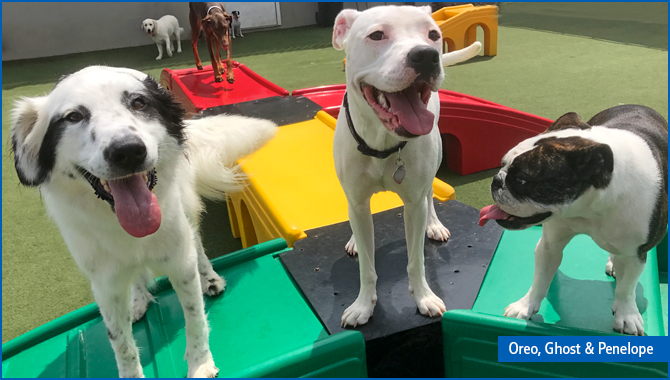 Your pooch can build social skills and play on more than 30 indoor and outdoor play areas that are supervised and kept clean at all times thanks to antimicrobial turf technology. Join us for games on the playground and in our fresh water pools as we celebrate our daycare friends born in September. Photos will be posted to Facebook the following day. Our Certified Pet and Dog Trainers (CPDT) specialize in household manners, everyday commands and prepare your dog to obey instructions at home, in public and around other dogs. 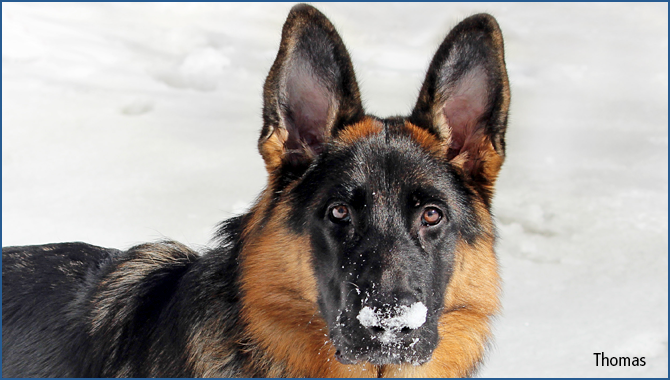 Our training uses a reward-based curriculum that’s based on positive reinforcement. Best of all, basic dog training with Purr’n Pooch is fun because we enjoy helping your pooch learn and grow! Our classes run for six or seven weeks in our Tinton Falls Resort. Call 732-842-4949 or email info@purrnpooch.com for more information. Sunday, September 10 ~ 2 p.m.
Sunday, September 10 ~ 3:15 p.m.
Sunday, September 10 ~ 4:30 p.m.
Monday, September 11 ~ 6 p.m.
Tuesday, September 12 ~ 6 p.m.
Thursday, September 14 ~ 6 p.m. Relaxing and soothing Apricot Chamomile spa package. The shampoo has the refreshing smell of apricots and the calming chamomile flower scent. The package includes shampoo, teeth brushing and spray with fresh apricot and a hint of soothing chamomile. Cost is $18 plus price of bath or grooming. Our retail boutiques in both locations are stocked with healthy foods, treats, and fashionable items for your pet’s needs. Too busy to stop and pick up your pets food on your way home from work? We sell SOJO’s Complete Raw Diet, Stella & Chewy’s Dinner Patties in a variety of flavors, and Blue Buffalo Life Protection Formula in chicken and lamb. Our shelves are always being restocked in the latest fashion collars and leashes. Currently we are proud to present the Forever Mootsy line of rope collars and leashes. Refer a new client to us and once they register receive a $5 coupon towards your next visit. Coupon can not be used for retail items or combined with any other promotional offer. Summer is in full swing and hopefully the weather will be gorgeous for all our furry guests. Our fresh water pools are opened and ready for business. Please remember that the summer is a busy time of year, so make your pet’s reservation in advance. Our office hours will be 7 a.m. to 3 p.m.
All boarding guests still supervised 24 hours, 365 days a year. Join us for games on the playground and in our fresh water pools as we celebrate our daycare friends born in July. Photos will be posted to Facebook the following day. Wondering if your dog would like agility? Looking for something fun and different for your kids to do this summer? Agility for Fun Kids Camp will teach the fundamentals of agility to your children and pet. Camp will be held July 17 through July 20 from 11:30 a.m. to 1 p.m. The camp is for children between the ages of 7 and 14 and the cost is $150 plus tax. Parent or guardian must remain with student during the camp. Please email info@purrnpooch.com or call 732-842-4949 for more information. Wednesday, August 16, 6 p.m. – 10 p.m. In honor of All American Pet Photo Day we are having a photo contest on Facebook. Submit your pet’s summer fun photos to info@purrnpooch.com between Monday, July 10 and Friday, July 14. We will create an album of all entries and post it on Monday, July 17. The pet with the most likes as of Monday, July 24 at 9 a.m. will win a two night complimentary stay in our luxury guest room including playtime. A brighter coat and relaxing spa bath are just what your pet needs this summer. Our spa package includes blueberry shampoo, blueberry conditioner, blueberry facial, teeth brushing, and long lasting blueberry cologne. Cost is $25 plus cost of bath or grooming. After a day of play, guests can enjoy a healthy, organic frozen yogurt sandwich homemade by Jodes Happy Tails. Cost is $5 per treat. Spring has officially sprung even if the weather isn’t cooperating. At Purr’n Pooch we’re celebrating with lots of exciting events and promotions, rain or shine. 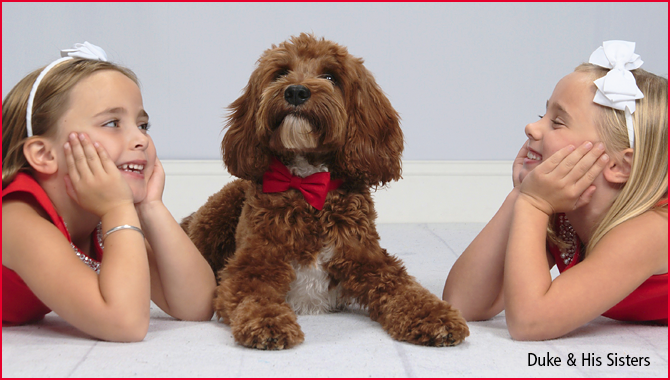 Visit us for fun with friends in daycare, boarding and pampering by our spa and grooming professionals. We also look forward to seeing new and old friends during Spring Break. Join us for an egg hunt for treats on the Purr’n Pooch playground as we celebrate our daycare friends born in the month of April. Sunday, April 23 ~ 10 a.m. – 12 p.m. The Pet First Aid & Pet CPR course is a certification course through the American Safety & Health Institute (ASHI). Each participant will receive a student manual, basic first aid training kit, information on evacuation, poisoning, a bookmark, a quick reference card, breathing barrier device and much more. Upon successful completion of the course each student will receive a wallet size certification card and a certificate suitable for framing. Cost is $55. Partial proceeds benefit the Purr’n Pooch Foundation for Animals. Email info@purrnpooch.com with any questions. Wednesday, May 3 ~ 4 p.m. – 6 p.m.
We invite you to join us for an Alex and Ani Charmed by Charity Event. 15% of all sales will go directly to the Purr’n Pooch Foundation. Enjoy Lite Bites and (+) Energy Punch. RSVP to savelives@purrnpoochfoundation.org. Treat your friend to a honey almond shampoo, sugar scrub (for tummy, elbows, groin, inner thighs), teeth brushing and your choice of Honey Bunny or Jelly Bean cologne. Price is $25 plus price of bath or grooming. Call 732.842.4949 (Tinton Falls) or 732.528.8100 (Wall) to make an appointment. Purr’n Pooch’s aquatic exercise sessions are located in our indoor spa pool in Wall Township. Our experienced pet care technicians will care and comfort your dog with ease and patience. Swimming, games, and other exercise routines are part of the fun as your friend learns to move and play gently in our warm, spa waters. All pets are sized and supplied with a canine life preserver. The pool setting is calm and quiet -ideal for relaxation and rejuvenation. All sessions are private and done by appointment. They can be held individually or combined with boarding, daycare, grooming or other amenities. Pricing starts at $65. Call 732.528.8100 (Wall) for more information or to schedule and appointment. April ~ National Greyhound Adoption Month ~ Read our Blog! 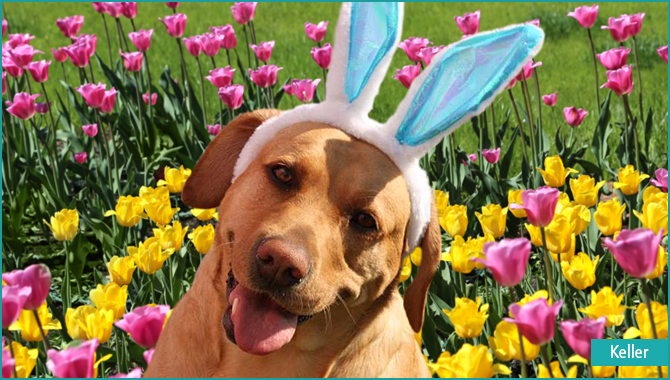 At Purr’n Pooch we’re celebrating spring’s arrival with lots of exciting events and promotions. Visit us for fun with friends in daycare, boarding and pampering by our spa and grooming professionals. We also look forward to seeing new and old friends during Spring Break. Celebrating the luck of the Irish with games and treats on the Purr’n Pooch playgrounds as we celebrate our daycare friends born in the month of March! Bring your pup by for our lucky scent games! Your little leprechaun will explore the Purr’n Pooch playground searching for pots of gold, filled with treats. Wednesday, March 22 ~ 6:30-7:30 p.m. Learn the right brushing techniques for a happier and healthier dog. Purr’n Pooch’s award-winnning groomers will show attendees the benefits and proper way to keep a pet’s coat healthy followed by a Q&A. The groomers will show different techniques and have tools available for purchase. Cost $10 per family. Email info@purrnpooch.com to register. Thursday, March 30 ~ 6:30 – 8:30 p.m.
Purr’n Pooch Foundation for Animals is helping raise money to support animal rescue organizations with a special Paint and Sip event. The event begins at 6:30 p.m. and ends at 8:30 p.m. The cost is $45 per painter. Bring your own beverage. Guests will paint their favorite pet on glass. Beginners are welcome and no art experience is required as the art director will walk you through the painting process, step by step. To register, call 732.546.6875, or prepay online. After purchasing your ticket, please email a close-up photo of your pet to info@mycreativecanvas.net before March 23. Plan to arrive before 6:15 p.m. to check in and set up. Add shine and luster to your lucky dog’s coat with our Green Tea shampoo. Package also includes a spritz of Green Tea cologne and teeth brushing. Cost $18, plus price of grooming. Call 732.842.4949 (Tinton Falls) or 732.528.8100 (Wall) to make an appointment. $5 off your pet’s room rate for Monday, Tuesday and Wednesday nights through the end of March. Treat your dog to his or her very own twilight walk with our Purr’n Pooch staff. Cost is $10 when added to boarding. Also, soothing evening tummy rubs are available for $10 when added to boarding. Enter your pup in our Facebook and Instagram contest running for one-day only on March 23, National Puppy Day! One winner will be chosen from all the entries. For Instagram, use the hashtag #PNPPuppy2017 to enter and tag@PurrNPooch on Instagram. To enter on Facebook, post your pictures on our wall and all pics will be added to an album. Purr’n Pooch will announce the winner on March 24. Winner will receive one night luxury boarding and playtime. Each month we plan new and exciting events to socialize and entertain visiting pets. February is an especially fun time! At our annual Puppy Bowl dogs of all ages play on our playgrounds in a game of ball. Pups wear their favorite team jerseys and have a blast. We also look forward to honoring our heroes in animal welfare and rescue at the Purr’n Pooch Foundation for Animals breakfast. It’s a heartfelt morning where Foundation supporters and grantees come together to celebrate one another’s important work and friendship. And so much more! See below. Is your pup ready for some football? Join us for our Annual Puppy Bowl, a day of supervised games of catch with friends in our training halls. Fun for all ages and dress in your favorite team’s jersey. Thursday, February 9 ~ 10:30 a.m.
We also look forward to honoring our heroes in animal welfare and rescue at the Purr’n Pooch Foundation for Animals breakfast. It’s a heartfelt morning where Foundation supporters and grantees come together to celebrate one another’s important work and friendship. Grants will also be presented to charities All Critters Rescue, American Rescue Dog Corporation, Angels Among Us Pet Rescue, Animal Care Sanctuary, Arabian Rescue Mission, Cat Assistance Network, Central Ohio Sheltie Rescue, Greyhound Friends of New Jersey, MEOW Inc, MidAtlantic Bulldog Rescue, New Life Boxer Rescue, Ramapo-Bergen Animal Refuge, and Sedona Shepherd Sanctuary To the Rescue. Photos from Wall and Tinton Falls will be posted on Facebook as we learn about the breeds showing at the Westminster Dog Show. 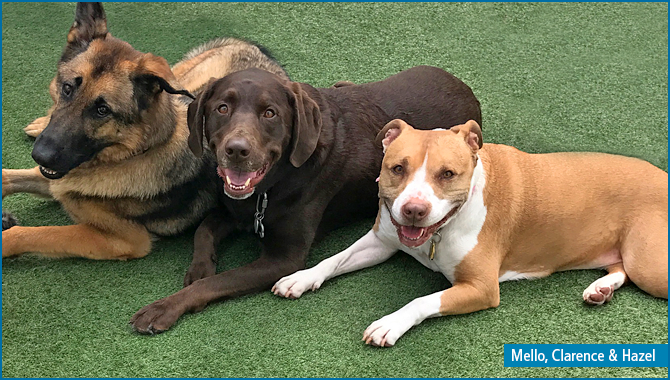 The small and the tall, we’ll talk about them all as we introduce you to our friends in doggie daycare and learn about their breed types and personalities. Mixed breeds included! Photos from Wall and Tinton Falls will be posted on Facebook of our adorable pups and kitties in their best hearts and kisses wear as they celebrate the birthdays of their friends born in February. Kisses and cuddles on the playground will be caught on camera all day long! Pups in boarding and daycare will enjoy treats and games on the playground. Our theme is Mardi Gras. Dogs will bob for bones and dress in feathers, boas, masks and the colors of the popular Mardi Gras celebrations right here on the Jersey Shore! Photos will be posted on our Facebook page. Moisturize your pet’s fur and skin with shampoo enriched with milk proteins for healthier skin and coats. Package includes shampoo, vanilla spritz, paw pad cream and teeth brushing. Cost is $25, plus price of grooming or bath. Call 732.842.4949 (Tinton Falls) or 732.528.8100 (Wall) to make an appointment. Enter your pics using #PNPLoveYourPet by 10 p.m., February 20 on Facebook and Instagram. The photo with the most likes wins one free night luxury boarding. 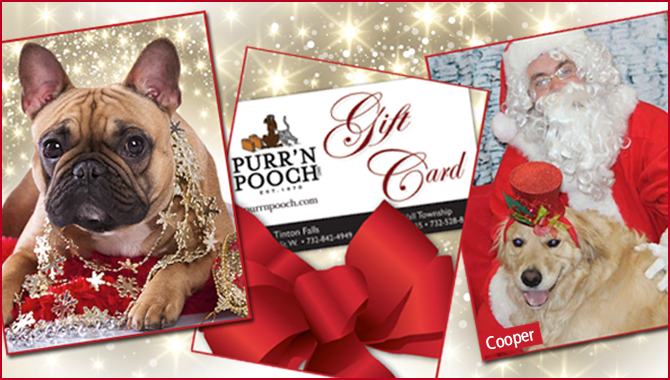 A New Fun-Filled Year with Friends at Purr’n Pooch! SAVE THE DATES FOR EVENTS AND PROMOTIONS! Pups in boarding and daycare will enjoy an ugly sweater contest, treats and games on our playgrounds as they celebrate the birthdays of their friends born in January. It’s National Dress Up Your Pet Day and at Purr’n Pooch we invite visiting pets in daycare and boarding to dress in their best doggie digs. To celebrate National Dress up Your Pet Day, sweaters will be 20% off on the 13, 14and 15 in both Wall and Tinton Falls retail locations. Register for this year’s Puppy Bowl! All puppies are welcome to register for daycare to play games with other puppy friends. It’s always a fun day with tons of adorable pictures shared on our Facebook page. Thank you for your generosity during our holiday drive for animal charities across the region. We collected hundreds of items and supported many organizations saving lives in our communities including Lunch Break, Associated Humane Society Tinton Falls, Monmouth County SPCA, Wag On Inn and To The Rescue. Indulge your pet in a luxurious Vanilla Cookie Shampoo with a vanilla bean spritz and teeth brushing. $25 plus cost of bath and grooming. Call 732.842.4949 (Tinton Falls) or 732.528.8100 (Wall) to make an appointment. To celebrate National Dress up Your Pet Day, sweaters will be 20% off on the 13, 14 and 15 in both Wall and Tinton Falls retail locations. This winter be sure to pick up our Paw Pad Cream, a gentle lotion is designed to help heal and protect sore, dry, and cracked paws. Made with all natural ingredients: olive oil, almond oil, rosemary and lavender.